Things you didn't know about France: you burnt Joan of Arc! ; smuggling live chickens into rugby matches is patriotic; how many times to kiss on the cheek; where not to cross the road; French guns don't go 'bang'; what do you call a party? bon appetit is vulgar; a six-pack is a bar of chocolate; the dangers of being called Peter or Penny; your smallest finger is your 'ear' finger; the importance of Wednesdays; how to tip and when to celebrate Christmas? Forget the French you learnt at school. 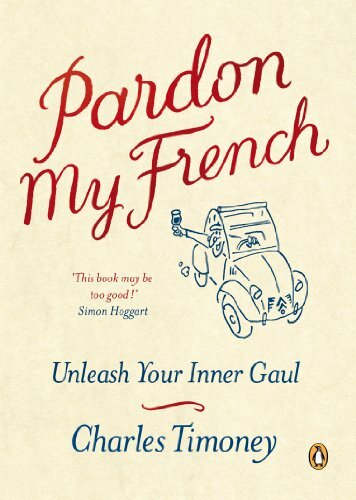 Based on twenty years of hard-won knowledge, "Pardon My French" takes you through all the words you need to survive, shows how and why they work, and steers you past all the pitfalls and potential embarrassments of speaking French in France.From sugar-cube etiquette to why the Marseillaise is all about slaughtering Austrians and Prussians as bloodily as possible, Charles Timoney lays bare the Gallic mindset alongside their bizarre language. Covering all areas of everyday life from eating and drinking to travel, work and, crucially, swearing and sounding like a teenager, this is not just the most entertaining, but also the most useful book on France and the French you'll ever read.